This entry was posted in Movies and tagged Catching Fire, Jena Malone, Jennifer Lawrence, Josh Hutcherson, Katniss Everdeen, Liam Hemsworth, movie reviews, movies, Peeta Mellark, Sam Claflin. Bookmark the permalink. Great review Zoe!!! Yeah I’m glad to see we can both be schoolgirls together!!! Wow that really looks weird written down. But I’m stoked you found this as thorougly-made and compelling as I did. Not going to lie though, a little surprised at the 8.5. I mean, I’m no snob — that’s a great score. Perhaps I was a bit TOO generous giving it the full pie, but oh man. The number of things that this film entertained me with was off the charts. One of my faves of the entire year. Schoolgirls. 🙂 Thanks Tom! Damn straight, someone I can gush about, and I am not that time! 😛 Is the 8.5 too low/too high?! I thought that was very fair! Ah, it was so great! There was so much that thrilled me and had me at the edge of my seat and I was never bored. SO great, and such good performances, too! I agree on a great one for the year! Gushing, listen to us! Teehee I am glad we agree. But it really was damn beautiful! Ahhh! Nice review. I am with you on this one. Caught it last night and really enjoyed it. I didn’t mind the first film, but this one was a massive improvement on it I thought. One of the best big budget blockbusters of the year for me. Thanks Tim! I really thought this one completely outperformed its predecessor, and on so many levels, too! I am glad to hear that you enjoyed it! Excellent review! I completely agree. Great review friend! Can’t wait to go see it myself! Thank you! I hope you get to it tomorrow! Sweet! Really looking forward to this. Hopefully seeing it this week and I can’t wait 🙂 Great review as always! Thank you, thank you! Can’t wait to hear your thoughts on it, and hope you get to it soon! Whoop! You liked the first one so I am sure you will enjoy this one too! Sterling work Zoe. You’ve pretty much nailed it. It is perhaps a little too faithful to the book, but I enjoyed the heck out of it. Thank you ever so kindly! I have learned sticking closer is usually the better for me personally. But you are right, this was a damn enjoyable film! Good review Zoe. Now that the story is moving along at a fine pace, I can finally look forward to what’s coming next down the pike. Hopefully, it continues to get better and better. Nice review. You liked this a bit more than myself. I really liked the second half, but the first hour felt kind of slow for me. Thanks! It worked for me. I like a movie that is paced, this movie’s second half was built on a good, solid foundation in the first half in my opinion 🙂 However, I can see how it would get a bit much for some. WOW such a high score! Glad this film won you over Zoe. I’m hoping to see it this weekend and now I’m even more excited to see it! Thanks Ruth! It was really well worth the watch, and I hope you get to it as soon as possible. I thought on the score for almost two days, and it still seems to be the right one for it! Cannot WAIT to hear what you think about it! I am looking forward to it, just hope that they don’t drag it out because they are splitting it into two parts! So it’s better than the first then Zoe? I’ll give it a look at some point. Nice work! Personally I thought it was better. Quite a bit better. I think you should check it out, it was pretty enjoyable! Thanks Mark! Glad you liked this. 🙂 Yep – so much better than the Harry Potter films so far! And, wow – what a loyal adaptation. I was very happy with this one. The final two movies will be… Interesting… I’d have to say it’s the one time I maybe want them to NOT be totally loyal to the book as I didn’t like the final one very much. I love loyal. This movie was absolutely fantastic and I had so much fun with it. 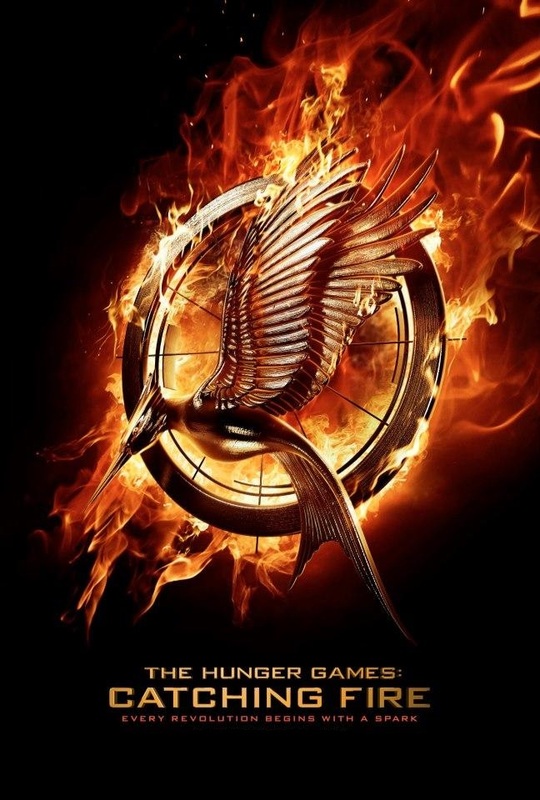 I liked Mockingjay more than most it seems. However, I don’t think it needs two movies though. I AM NOT ALONE IN THAT THEN!!!!!!!!!!! Yes, that makes me very happy to hear haha.